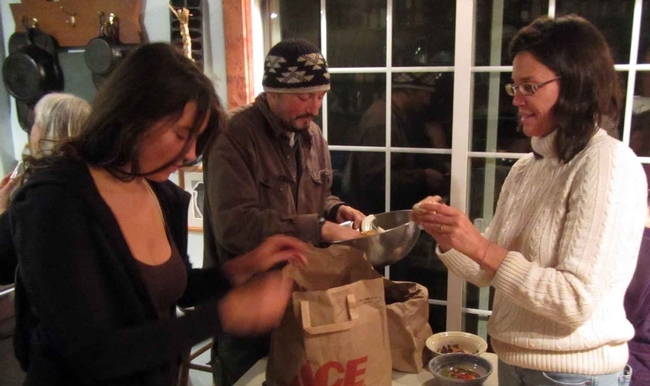 The USDA-funded Tribal Food Security Project team includes members of the Karuk, Yurok and Klamath Tribes along with UC researchers. In front row, Jennifer Sowerwine is second from left and UCCE farm advisor Deborah Giraud is far right. Photo courtesy of Karuk Píkyav Field Institute. As California and the nation grapple with the implications of persistent drought, devastating wildfires and other harbingers of climate change, researchers at UC Berkeley's College of Natural Resources are building on a decade-long partnership with the Karuk Tribe and the U.S. Forest Service Pacific Southwest Research Station to learn more about stewarding native food plants in fluctuating environmental conditions. UC Berkeley and the Karuk Tribe have been awarded a $1.2 million USDA Agriculture and Food Research Initiative grant for field research, new digital data analysis tools and community skill-building aimed to increase resilience of the abundant cultural food and other plant resources – and the tribal people whose food security and health depend on them. 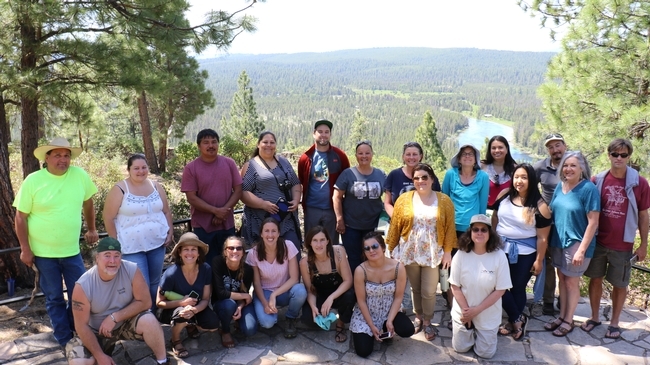 Jennifer Sowerwine, UC Cooperative Extension specialist at UC Berkeley and co-founder of the Karuk-UC Berkeley Collaborative, and Lisa Hillman, program manager of the Karuk Tribe's Píkyav Field Institute, will co-lead the xúus nu'éethti – we are caring for it research project. UC Berkeley's College of Natural Resources, UC Agriculture and Natural Resources and the Karuk Department of Natural Resources will support the project with postdoctoral researchers, botany, mapping and GIS specialists, and tribal cultural practitioners and resource technicians. Frank Lake, research ecologist and tribal climate change liaison at the USFS Pacific Southwest Research Station, will contribute to research and local outreach activities. The San Rafael-based nonprofit Center for Digital Archaeology will help develop a new data modeling system. Project activities include expanding the tribe's herbarium (a research archive of preserved cultural plants launched in 2016 with UC Berkeley support), developing digital tools to collect and store agroecological field data, and helping tribal community members and youth learn how to analyze the results. Sowerwine, right, shown cleaning tanoak mushrooms, an important cultural food, will study effects of climate change on the Karuk food system. The research team will assess the condition of cultural agroecosystems including foods and fibers to understand how land use, land management, and climate variables have affected ecosystem resilience. Through planning designed to maximize community input, they will develop new tools to inform land management choices at the federal, state, tribal and community levels. All project activities will take place in the Karuk Tribe's Aboriginal Territory located in the mid-Klamath River Basin, but results from the project will be useful to other tribes and entities working toward sustainable management of cultural natural resources in an era of increasing climate variability. Findings will be shared nationwide through cooperative extension outreach services and publications. The new project's name, xúus nu'éethti – we are caring for it, reflects the Karuk Tribe's continuing commitment to restore and enhance the co-inhabitants of its aboriginal territory whom they know to be their relations – plants, animals, fish, water, rocks and land. At the core of Karuk identity is the principle of reciprocity: one must first care for these relations in order to receive their gifts for future generations. This work will be supported by the Agriculture and Food Research Initiative Resilient Agroecosystems in a Changing Climate Challenge Area, grant no. 2018-68002-27916 from the USDA National Institute of Food and Agriculture. For more information, visit the Karuk – UC Berkeley Collaborative website at https://nature.berkeley.edu/karuk-collaborative.